Yeongjongdo Island has a total of 24 farming cases: 16 seaweed and 8 shellfish farming areas cover the 3.1㎢ area. In analyzing the function of fisheries production and residing fish by market price according to the harvesting & production of the fisheries, the yearly gross total amount of fisheries products in Yeongjongdo Island reaches 3 billion won, which is the equivalent to 9.54 million won adjusted by unit production per ㎢. The high productivity means that the place has the proper conditions for organisms to thrive and multiply. 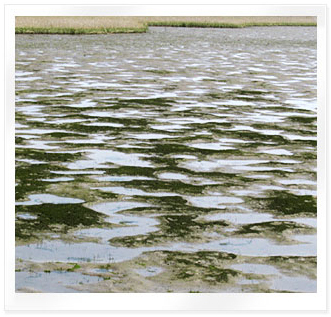 A tidal flat enables many marine organisms to breed and grow. Also its muddy atmosphere provides many marine organisms with the best place for protection against enemies. The tidal flats, where the young organisms develop to become new members of the marine ecosystem, contribute to the safety of the entire ecosystem too. with the best place for protection against enemies. The tidal flats, where the young organisms develop to become new members of the marine ecosystem, contribute to the safety of the entire ecosystem too. The tidal flats, especially as a midway stopover for the migratory birds wandering about, are used as a place they can regain their energy by eating, resting or breeding and in turn, the visit by these birds reflects the healthiness of the tidal flats.